Comprising a stainless steel Platter and three anodized Condiment Trays, the design is a reflection of Australia — brilliant blue skies, intense shimmering heat and light refracting over ancient landscapes. The off-centre ‘plateau’ and subtle curvature of the stainless steel platter have been achieved by an industrial process known as hydroforming. 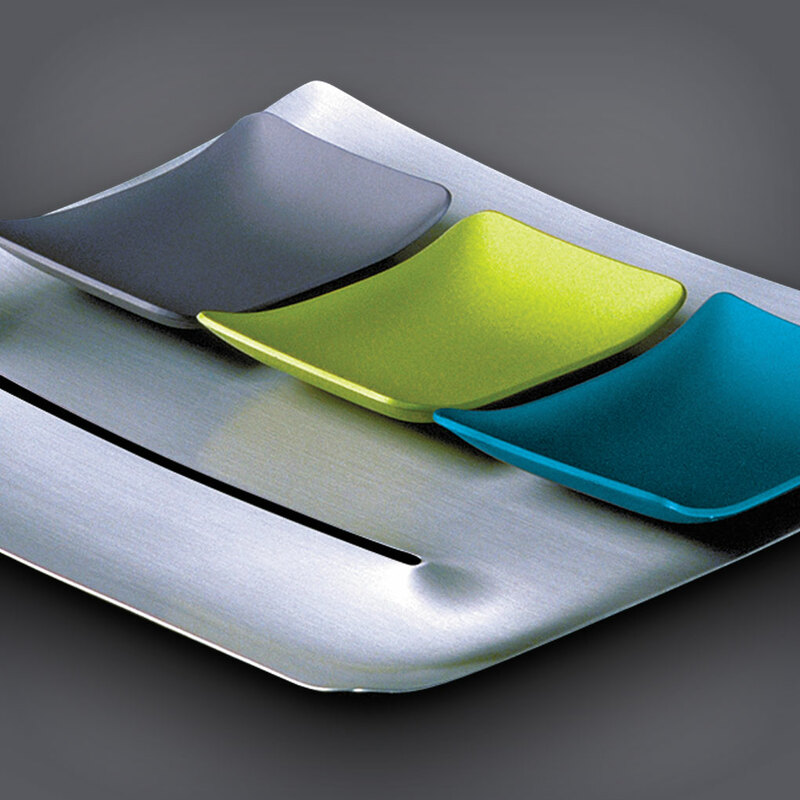 The anodized aluminium Condiment Trays have been cold-pressed and are designed either to be placed upon the Platter or served by its side. Trays are sold separately or as a set of four pieces. Trays are available in four individual colours and contrast with the texture and colour of dips, antipasto, sauces, relishes or sweets. Together they are the perfect way to present a myriad of tempting appetizers and side dishes.